For those who were fortunate to have witnessed Cubao’s old glory from the 1960’s-1980’s, it seemed far-fetched to entertain the idea of a possible demise of this colorful district. But by the 1990’s, this idea became an unfortunate reality as Cubao became endangered thanks to the shifting tastes in entertainment trends, the rise and the mushrooming of the shopping malls,(spearheaded no less by SM which ironically has a presence in Cubao as a department store) and the competition waged by rival commercial districts, particularly the malls of Ortigas Center and Makati’s old Quad and Greenbelt shopping centers that have been revamped to become the classier Ayala Center. The deteriorating peace and order situation did not help either as old patrons found themselves avoiding Cubao due to incidences of theft and other petty crime. 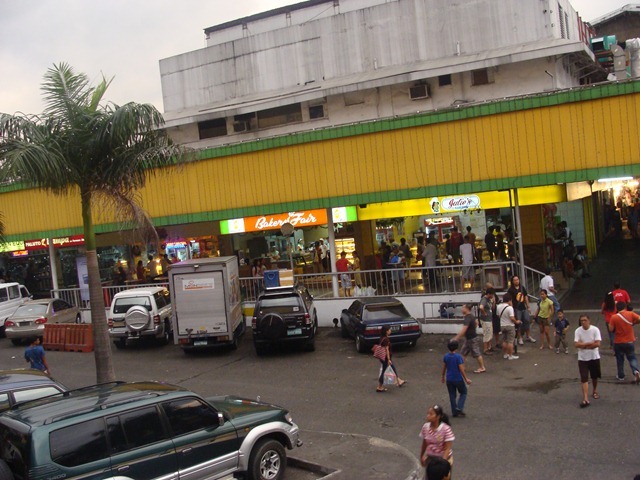 In the midst of all these, Cubao still managed to survive thanks to the presence of Araneta Coliseum and the reinvention of some of the old retail establishments to become retailers of second-hand imported goods, otherwise known as wagwagan and ukay-ukay stores. 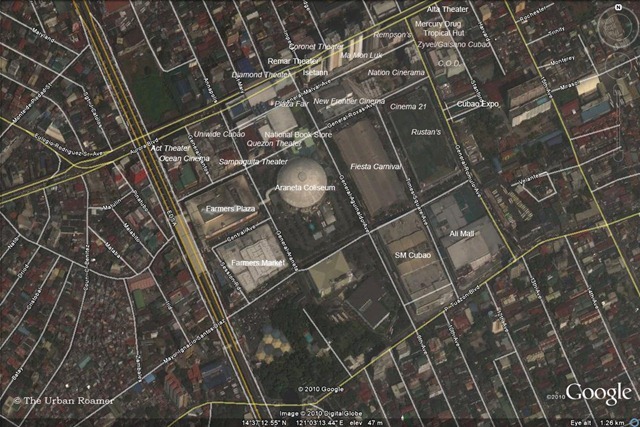 At one point, Cubao could be consider the metropolis’ leading ukay-ukay center of sorts. 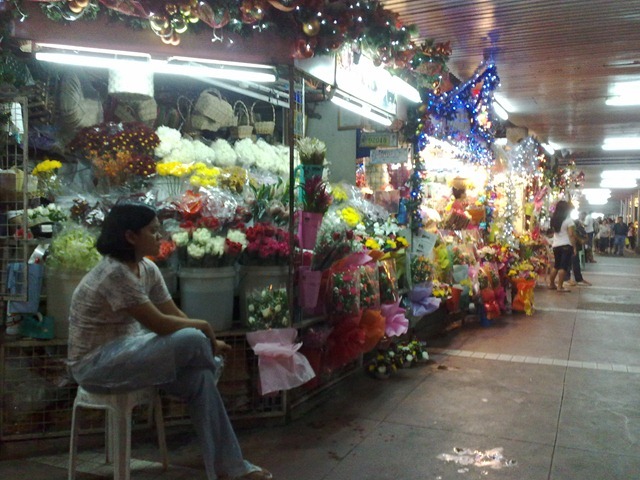 But this reinvention was short-lived as Cubao’s developers decided to take a new route in revitalizing Cubao, in the process forced the closure of these establishments and killed whatever potential Cubao had as a possible shopping haven for second-hand goods that may rival those found in Hong Kong. In the midst of the changing scenery that sometimes can drive one nuts, there are some who were fortunate to survive and withstand these changes. How they survived the evolution (or devolution as some would contend) are stories which by themselves are interesting to note. 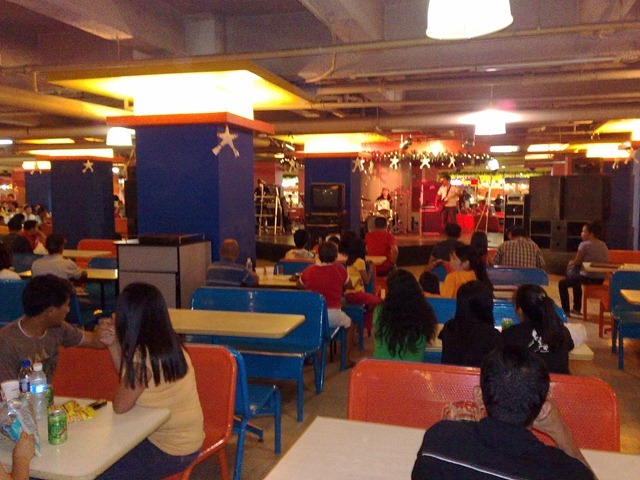 It is known as one of the first establishments to be built in the Araneta Center area shortly after the completion of the Araneta Coliseum. 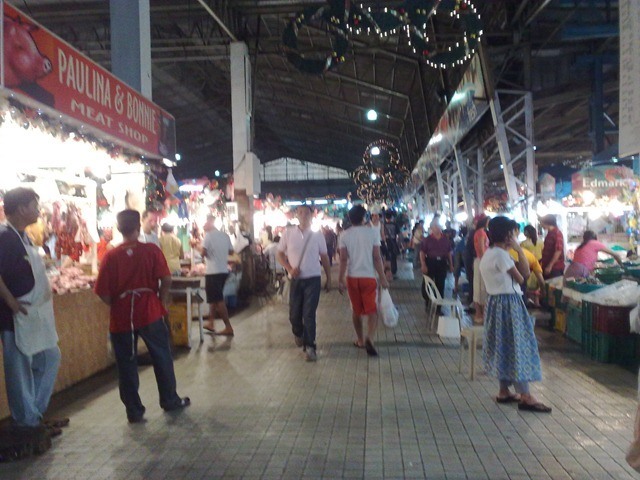 It is also one of the best-looking wet markets (if not THE best) in the metropolitan area. 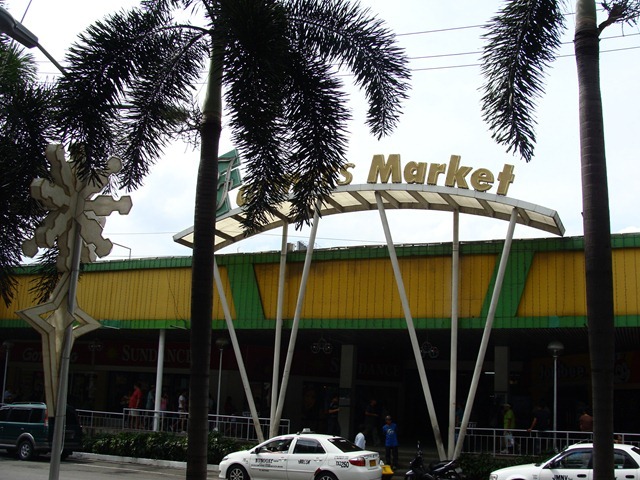 Unlike many wet markets, Farmers Market boasts of wide pathways, paved and tiled to top it off. It’s also well maintained so one can at least expect not to have too much of that dreaded market smell once you’re done with those market chores. So don’t be surprised if you see there some well-dressed folks that you won’t normally see in a typical market. Being the only market in this part of the city, it has been fortunate to have withstood those changes, thus building a sizeable and loyal following of sorts not among patrons who live nearby, but also among those who appreciate the nice market atmosphere Farmers Market offers. But what makes Farmers Market stand out more is the variety of goods and retailers you can find here. 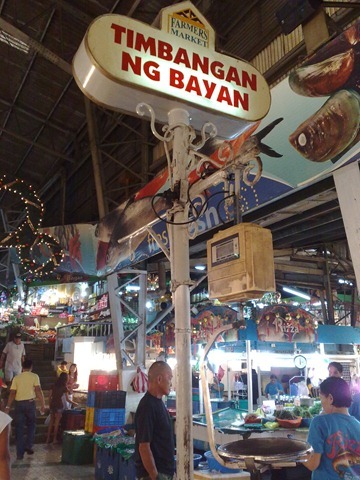 Apart from the usual wet and dry goods on sale, you can also find clothing, flowers, even a “paluto”-style restaurant where you can buy seafood from the market and have any of the restos there cook it for you the way you like it. 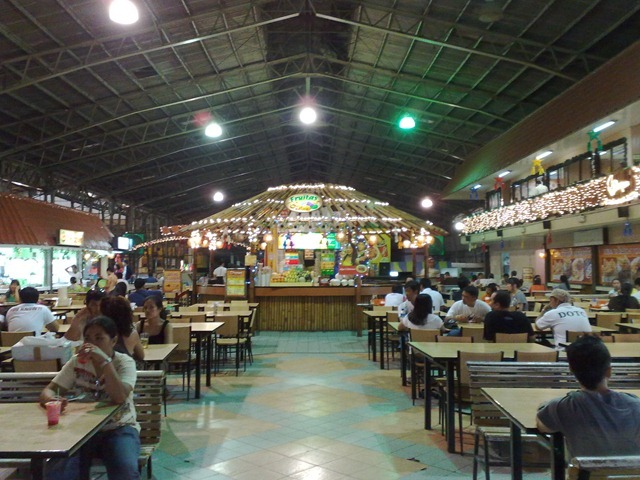 Surrounding the market are a host of establishments, some of which you would think be located right in a market complex. Then again, Farmers Market is not one of those typical markets. FYI, this is where Mar Roxas would tape his “Mr. Palengke” ads. After all, he has Araneta blood from the maternal side. Besides that, Farmers Market looks good on TV. Known as the first “commercial condominium” in the country, I don’t know if that would mean Farmers Plaza would mean the country’s first shopping mall. It was built in the 1960’s as a sort of a more commercial complement to the nearby Farmers Market. Hence, the name. In its heyday, it boasted a number of amenities like a cineplex and an entertainment plaza which 80’s-90’s kids know as where “Pen Pen De Sarapen” children’s show would be taped. While it did undergo a major facelift during the late 1990’s, Farmers Plaza still looked that it had seen better days. The cineplex is now gone, the old Plaza Fair department store which used to occupy 3 levels of shopping after relocating from its old location has now been drastically downgraded and is in danger of being extinct. 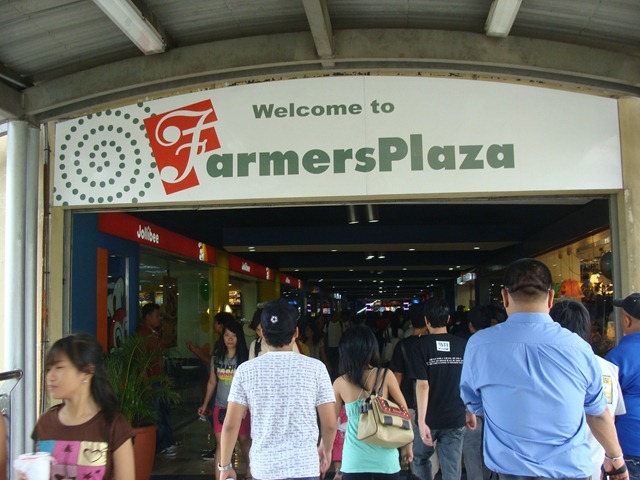 Despite this situation, Farmers Plaza gets a lot of foot traffic as it serves as an important link to the Araneta Center-Cubao station of the mass transit Line 3 and serves also to connect to the mass transit Line 2. 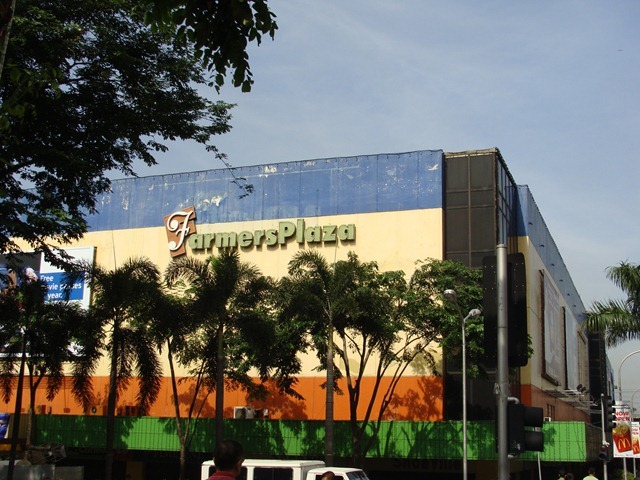 Its importance as a mass transit link of sorts has made Farmers Plaza survive the changes of Cubao’s atmosphere as new plans have been bared to give this landmark another shot of revitalization. This roamer hopes that these new plans for Farmers Plaza would give this particular a treatment it deserves as an oldtimer in this part of the city.